The main thing that puts this place in a league of it’s own is it’s location. The resort is situated in-land within a sheltered 17 acre valley and is surrounded by 360 degrees of mountainous jungle landscape. The rugged limestone cliff faces that surround the valley are an amazing 260 million years old and make for a dramatic backdrop. Within the valley lies the most mind-blowing natural hot springs. Along with caves, waterfalls and jungle, I’ve never seen so many independent elements of natural beauty in one place. The hot springs have been around for hundreds of years and historically locals use to come to boil their eggs in the water. The temperature naturally reaches boiling point and atmospheric steam bounces off the water, giving the whole resort a magically mysterious atmosphere day and night. The hot springs are known for their wellbeing properties and the whole resort is based around health, wellness and relaxation. Whilst the springs themselves are too hot to sit in, jaccuzis sit at the edge of the water which emit spring water and can be temperature controlled. Surrounding the springs are different caves filled with natural steam, perfect for detoxing and sweating out all those toxins. 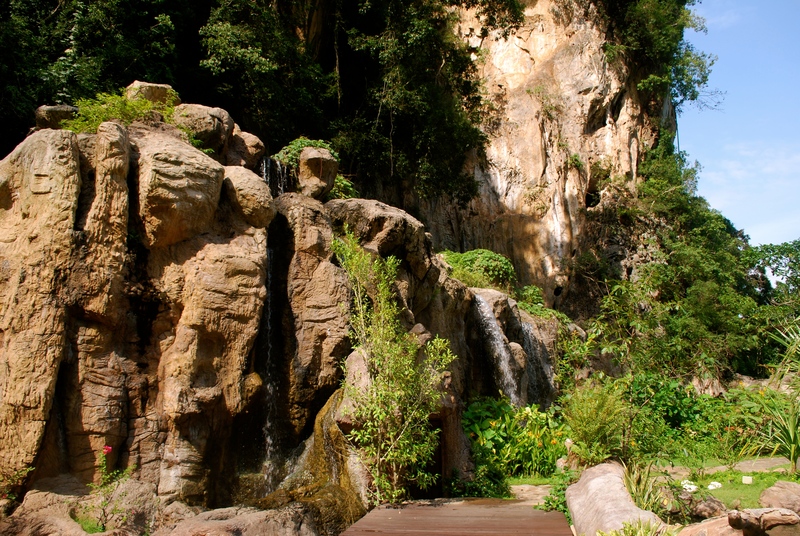 Wander a little further away from the centre of the resort and you’ll find a dramatically free-flowing waterfall (the kind you could imagine the Herbal Essences girl standing under). Behind the waterfall lies a huge cave, where yoga classes are held. During my trip I attended one of the classes. Whilst it was quite hot in the cave, it had an incredible energy and was completely silent. Perfect for zoning out during the yoga sequences. Everything else aside, the suites alone are enough to make you fall in love with The Banjaran. There are only 25 suites in the whole resort, each one housed within it’s own walls with a private pool, sun loungers and outdoor lounge. Round the back of the pool also lies a huge Jacuzzi that fills with warm water from the natural springs and a freestanding rain shower. It’s the kind of thing that dreams are made of. The bungalow suites are extremely spacious and define luxury of the highest standard. The al-fresco design of the suites ensure you spend the majority of your time outdoors, whilst enjoying total privacy. Little extras such as facial mist and mouth spray next to the his and hers sinks make are examples of the thoughtful gestures and even the shampoo and conditioner comes in beautiful ceramic pots. With just 25 suites in total, there can only ever be a maximum of 50 guests in the resort at any one time. This makes it feel extremely exclusive and during my stay I rarely passed other guests. Everyone keeps themselves to themselves and it often felt we were the only group in the resort. The high level of service becomes apparent as soon as you soon as you step into the beautifully designed reception area. The staff could not be more helpful or attentive and all radiate a sense of calm and tranquility that the whole resort stands for. 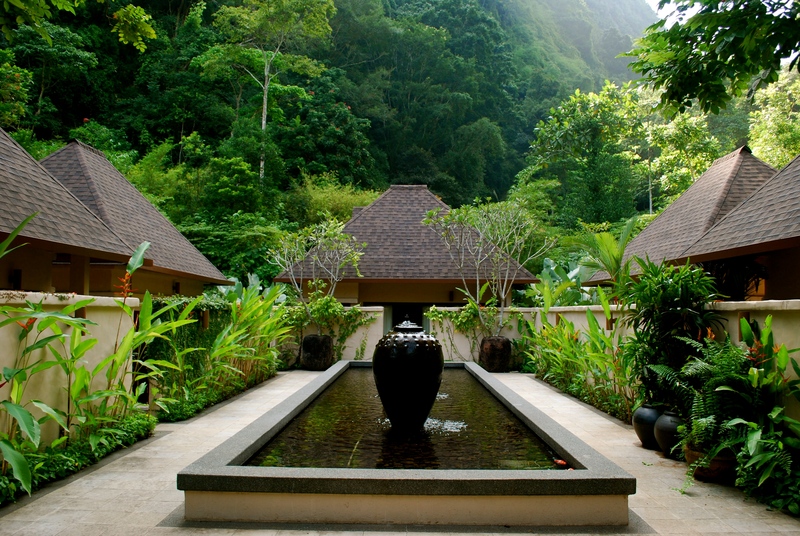 Naturally, the spa is a huge element of the Banjaran and I would say that it is the resort’s third biggest selling point after the landscape and the amazing suites. During my stay I was lucky enough to experience the spa’s signature massage ritual which was a full body massage lasting a generous 90 minutes. Before my treatment I was shown the way to my own private massage hut and made to feel totally welcome and at ease by my masseuse. She started with a relaxing foot scrub with warm water followed by a head, neck and shoulder massage. This totally knocked me out ready for the full-body massage which featured traditional Malay massage techniques and essential oils. Surrounded by Malaysian jungle and with local music playing, the massage was an out-of-this-world experience. You can imagine my devastation when it ended! 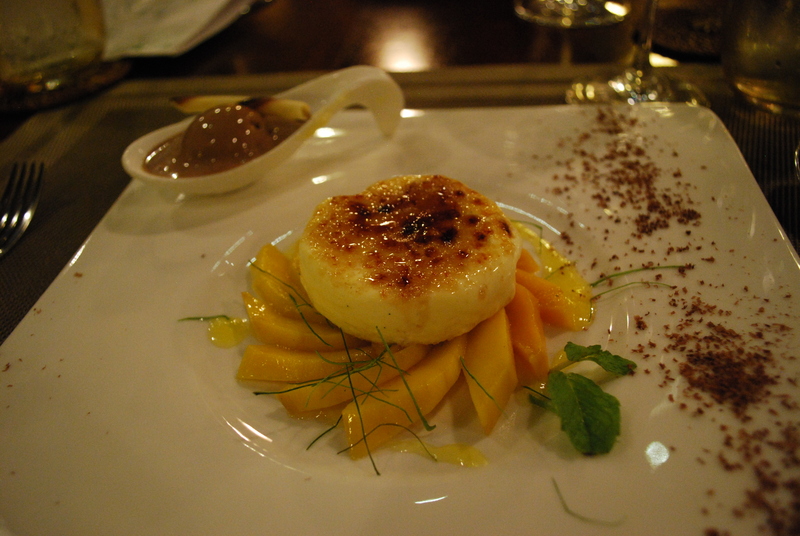 The resort is ran by a charming Swiss couple called Lucia and Felix Eppisser. Lucia is the General Manager and Felix is the Head Chef. Felix works hard to make sure the food served at the Banjaran is a fusion of high quality Eurpoean food and traditional Malaysian cuisine. He works with local Malaysian chefs to blend their knowledge and come up with unique menus. 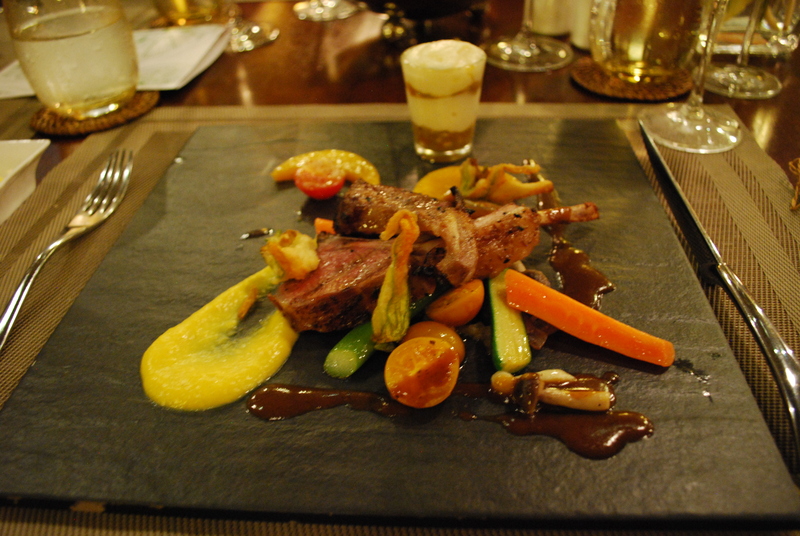 As well as the main restaurant, dinner at Jeffs’s cellar is an absolute must. 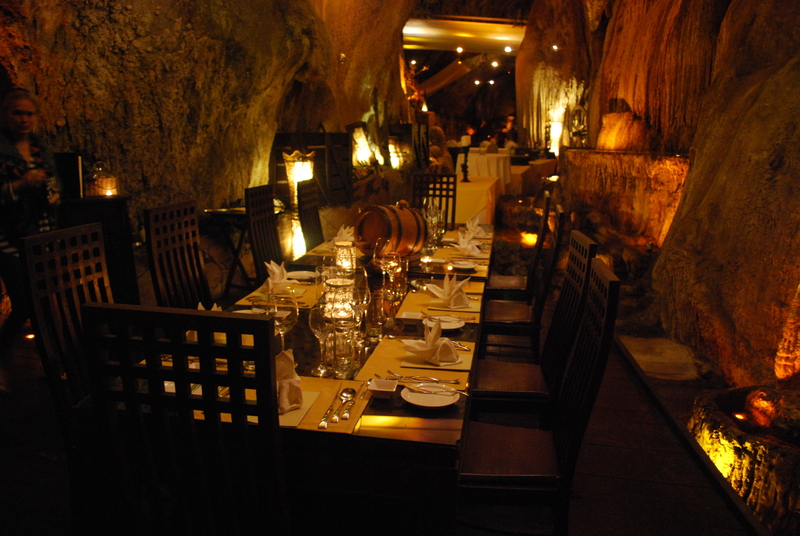 Jeff’s cellar is a restaurant, bar and wine cellar located deep within a spacious cave. Walking in genuinely feels like you’ve stepped into a set for Pirates of The Caribbean and the cave is good enough to be a huge visitor attraction in it’s own right. Here we enjoyed a decadent 3-course meal of European fine dining and an outstanding selection of wines straight from the cellar. 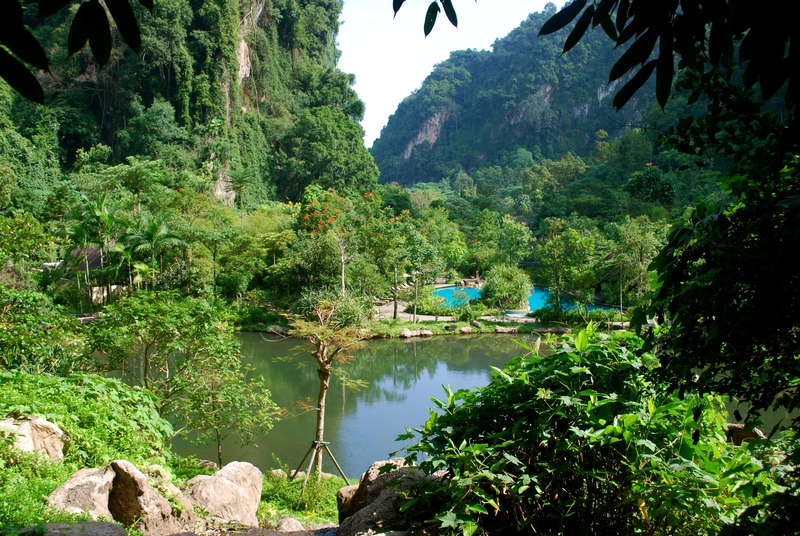 The Banjaran Hot Springs Resort is a place to come and totally switch off for the world. Whilst Wi-FI is readily available, it’s the kind of place you’d come for a few days to truly get back to basics. The Banjaran is every inch a luxury 5 star resort, but there is no pressure to look smart or act flashy. I spent my days fresh faced, make up free and in flip flops, which was totally acceptable and so refreshing. Being based in Ipoh, it’s certainly not the easiest place in Malaysia to reach from the UK and has a primary market of local South East Asains. However, if you’re travelling through the area or don’t mind going that extra mile for a hotel experience like absolutely no other, I would wholeheartedly recommend you stay at The Banjaran. It is a magical place that I can confidently say, is like no other place on earth. I would return in a heart beat. Perfect for… Couples, Honeymooners, Mini-Breakers. Those looking for the ultimate escape from reality that allows you to switch off in luxurious rural beauty. 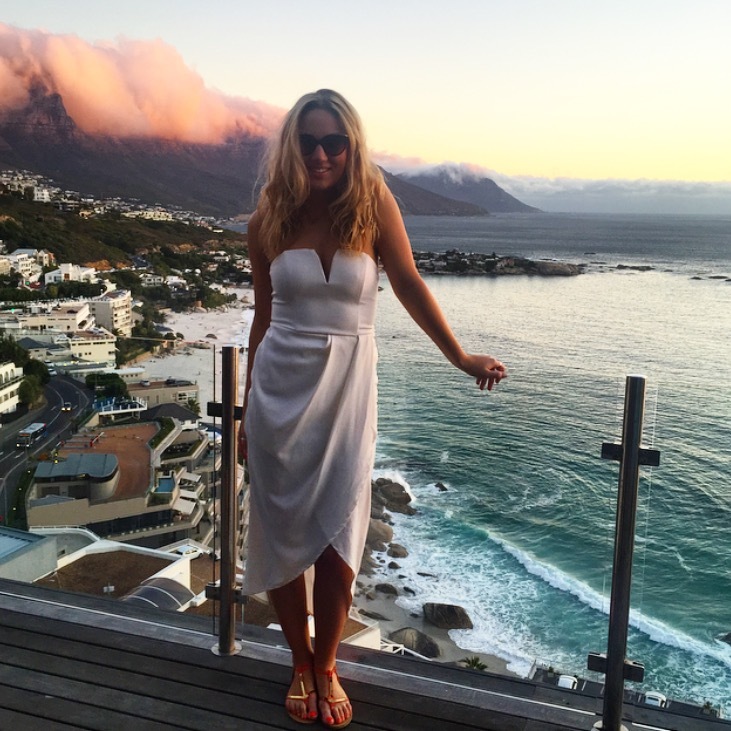 What did you think of my review of The Banjaran Hot Springs Resort? Are you thinking of visiting this resort or have you been before? If you have any more questions about my experience of the resort or if you simply enjoyed this post, please leave me a comment in the box below! This hotel stay was provided complimentary as part of my blogger press trip to Malaysia with Malaysia Airlines, The Danna Hotel Langkawi and The Banjaran Hotel Ipoh. Amazing view, very silent and looks beatifull.. Hope go there. This looks amazing!! Also, I love your swimsuit. super cute.